Jewel Osco is a popular and well-established supermarket chain in the United States. It is headquartered in Chicago, Illinois. It started as a coffee delivery service and grown into a retail supermarket. The company was founded in 1899 by Frank Vernon Skiff and Frank Ross. After it recovered from its initial setbacks caused by the war, the company started operating grocery stores. Then it was acquired by American Stores, which was then acquired by the Albertsons, who is the current owner of the company. It currently has 187 stores. They are clustered in Illinois, Iowa, and Indiana. It has 265,000 employees. It is now under AB Acquisition LLC. It was acquired in 2013 from SUPERVALU. It operates together with other 2,000+ other stores under its new parent company. The default benefits package that Jewel Osco provides to its employees includes paid vacations, associate discount, medical, vision, dental, and 401(k). Its health insurer of its choice is Blue Cross Blue Shield Association. One of the most loved aspect of the company is its culture. Employees appreciate how the company is good when it comes to hiring good natured and polite people. Aside from that, working in Jewel Osco is a nice way for high school students to work temporarily or part time. How Old Do You Have to Be to Work at Jewel Osco? You can work at Jewel Osco once you are 16 years old. A few of the positions you can apply for are customer service representative, cake decorator, deli clerk, stock associate, and cashier. Most of the job positions that are always available in Jewel Osco are entry level positions. Also, most of the jobs entails manning and operating a supermarket. Most of the job ads you will see from this company will be from new stores. Clerk Courtesy: Front liner in a Jewel Osco store. Its responsibilities include general customer service, carry-out, and bagging. It is crucial that you work efficiently, safely, and politely. You must ensure that you provide excellent, friendly, and fast service. Because of the responsibilities, it is required that you have good communication skills to get this job. Also, you must be physically fit and capable of reaching, stacking, and lifting at least 55 lbs. (25 kgs.). Clerk Cashier: This job entails operating a store’s cash register and other clerk duties that mostly involve interacting with a customer while he checks out. It is crucial that you provide a positive shopping experience to customers by exhibiting patience and concern. Must be also a team player and is willing to assist co-employees, especially courtesy clerks. It is required that you are adept in arithmetic calculations, especially when it comes to computing decimals, percentage, and fractions. Vision should be 20-20 and must have flexible schedule. Clerk Bakery: Your role is to maintain and operate the bakery while focusing on providing excellent customer satisfaction. Primarily, you are tasked to maintain the display of baked goods. Also, it is a must that you are aware of safety standards, code dating policies, and cleanliness guidelines. You should be always ready to help other departments when additional manpower is needed. To apply in this position, you must be at least 18 years old. Produce Clerk: In this position, you will mainly work with fresh and raw products. You will also be the one who will process said products, which will often require using tools like safety cutters, knives, slicers, and regular cutters. You should be fit enough to carry at least 80 lbs. (36 kgs. ), and able to work on cold products have temperatures that range from -20 degrees Fahrenheit (-28.8 C°) to 35 degrees Fahrenheit (1.6 C°). Grocery Clerk: It is considered an all-rounder position. You operate most of the check stand, product display, and production equipment. You also are tasked to maintain the overall cleanliness and health of the store and products. As a grocery clerk, you are also responsible on providing general customer service. PT Cutter Meat Apprentice: You will primarily deal with raw meat products. You will be assigned to wrap, trim, package, label, cube, tenderize, weigh, grind, and cut meat. Also, you will organize and maintain freezers and department coolers. It is crucial that you have good eye-hand coordination and have manual dexterity. Salad Bar Clerk: You will be mostly unloading and transferring goods from stock carts to the salad bar. As a salad bar clerk, you must prioritize the dating of the goods to ensure the freshness of the produce being sold. Aside from those, you need to regularly maintain and organize the salad bar, estimate day to day salad demands, and process orders. Pharmacy Tech/Clerk: This position works under the store’s pharmacist. Some of the responsibilities of a pharmacy clerk is to accept and read prescriptions, answer phone calls, operate a computer to get drug related data, organize product bay, and operate the sales register. Clerk Floral: The job is not isolated to working on flowers alone. You also need to order supplies that often accompanies flower orders such as balloons. You are also responsible for managing the supply and auditing. Of course, your main task is to decorate plants using tools such as wires, hot glue guns, spray paint, safety cutters, knives, scissors, balloon heating machines, and helium tanks. Meat Wrapper: Your work will focus on slicing, dating, packaging, labeling, and weighing meat and poultry products. Also, you will manage the display of the products and maintain the cleanliness of your work area. You may handle processing the meat and poultry products using machines, but it will be for training or apprenticeship purposes only. You can start applying in Jewel Osco by visiting its career page on its website. There are four position category that you can choose: retail, corporate, pharmacy, and supply chain. And before you being, it is crucial that you have an email address ready. Online application is preferred by the company. You can attempt to apply in a store, but they will only refer you to the website. 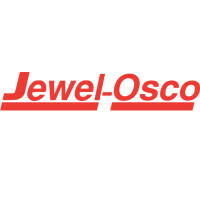 Jewel Osco use the services of Taleo.net, a talent management website, to process applicants. To proceed with filing an application, you need to register to the site first. However, you do not need to register if you just want to browse Jewel Osco’s job listings. For most level entry position and if you are still in school, it is expected that your resume will be almost completely blank. However, if you already had jobs before, you must make sure that you indicate them. Jewel Osco prioritize honest individuals. When it comes to interviews, it is crucial that you focus on a customer first mentality. Also, you must appear bright and positive. Smile if it is appropriate. Most of the news you will hear from Jewel Osco is that they are expanding rapidly. Almost every two months, they will announce an opening of a new store. And it always results to a never-ending need for new employees. Jewel Osco is known for being a success story. From a small business that delivers coffee, it has become a conglomerate with a huge presence in the United States. The company has its own foundation: Jewel Osco Foundation. The foundation focuses on welfare. Some of the aspects they put a lot of attention on are youth, education, diversity, hunger, veterans, health, and wellness. 1 How Old Do You Have to Be to Work at Jewel Osco?